Not uncommon to the ears of those who are employed by public galleries is a disgruntled visitor commenting "that's what my tax dollars goes to". Well, don't be disheartened gallery goer. Exhibitions not to your liking are not staged as a personal attack on your wallet, I promise you. When I began working in a gallery, I said "I pay taxes and I even work at a public gallery". 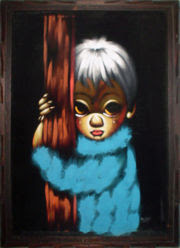 Why then, can I not curate exhibitions of black velvet paintings exclusively? They are classical, big eyed children, Elvis and the Bullfighter (who doesn't love Elvis? ), soft (as velvet) and black (goes with everything!). I was helped to understand that after the health care and education I have received, the roads, streets and walkways I travelled in on, the relative safety I enjoy through emergency services, the pick up of the trash I produce and on and on there is little chance that I have personally bankrolled the exhibitions at a public gallery. No one (that I know) enjoys paying taxes but, it is a collective and cumulative effort that does afford us a Canadian standard of living not the catering to of my personal whims (as much as I want that). I have simply come to accept that the act of paying taxes does not allow me the exclusive right to dictate that a public gallery should produce exhibitions that are especially pleasing to me. Yes, public, meaning for all, not just my rarefied desire to have exhibitions of velvet paintings exclusively. Nor is it safe to assume that what I enjoy is enjoyed by all other tax payers. Believe it or not, while I may grumble about a particular exhibition, others have been heard praising the exact same art! However public does mean that the gallery likely wants to offer you, as a member of the public, something which is meaningful and enriching. So, rather than grumbling sideways in an indirect effort to make your disappointment heard, speak directly to the gallery staff. You may not own the gallery but, you can take ownership of your needs and how you would like to see that reflected. Perhaps you will not find an exhibition pleasing to your sensibilities today, but there are many, many more exhibitions and more public galleries to be visited. Often galleries have art in several forms such as, music, performances, film series and talks. Why not try one of those? The 905er asks, if you were channelling the tax payers' art dollars, what would you fund? Bateman or Altmejd? Neither? Both? 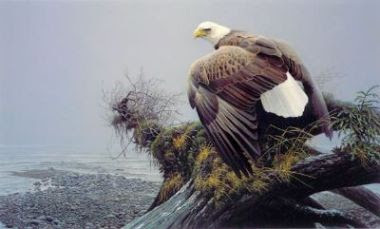 (Below) Work by Robert Bateman, Canadian artist and environmental advocate. 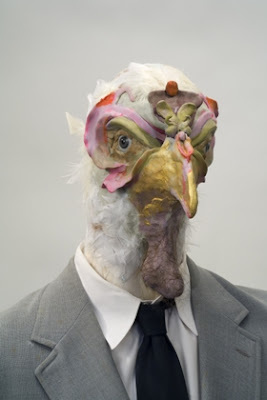 (Left) Work by David Altmejd, Canada’s official representative at the 2007 Venice Biennale of Visual Art. a most excellent blog post.